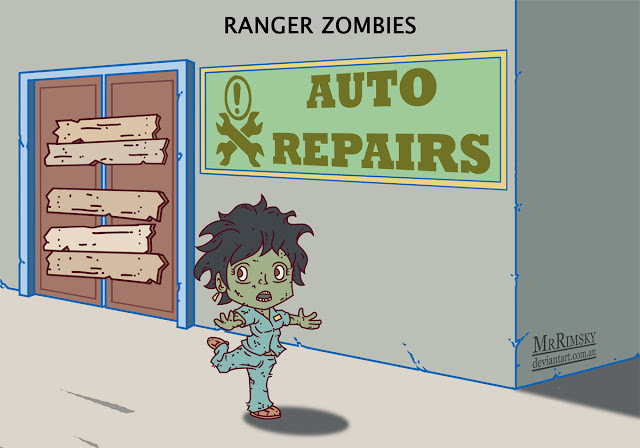 We can expect zombies to adapt to different hunting strategies when they are seeking out brains to eat. Another technique is for a zombie to wander around looking for someone to eat. Many animal predators use this method but it is not as simple as you think. Zombies will probably use the Levy Walk, a mathematical model of ranging that involves a mix of long and short trips in a random pattern. It increases the chance of finding something yummy to eat and is used by sharks, bees and tourists.